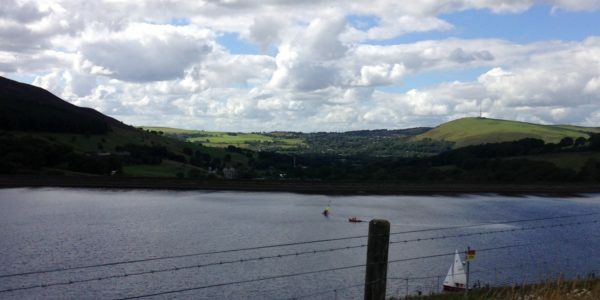 Saddleworth has some of the best scenery and handsome villages in the Greater Manchester area, although many residents maintain it is still in West Yorkshire! Cross over the road where there is a ford and carry on toward the village of Delph. After Hull Mill Dam the path carries straight on to come out near the White Lion public house in Delph. Go round the front and side of the pub and then continue on up Denshaw Road for a short distance to Lodge Lane. Where Lodge Lane divides take the middle track signposted ‘Horseshoe Trail’. This eventually finishes at the properties at the top of the lane. Following the signposted directions carry on through the fields up to the Royal Oak public house on Broad Lane at Heights. If the weather is favourable and the pub is open, a drink sat outside while admiring the views is highly recommended. During this part of the walk you pass through fields which often have sheep in. DOGS MUST BE KEPT ON A LEAD HERE. 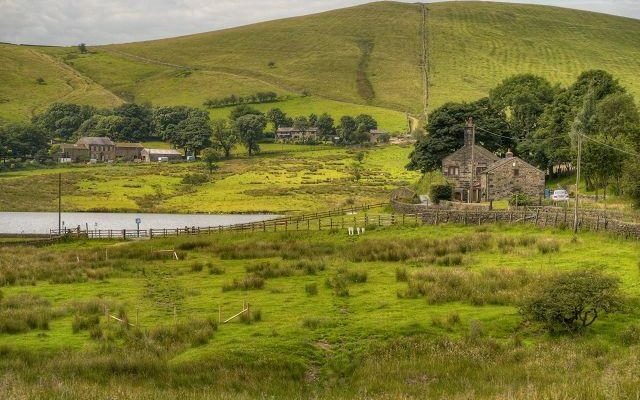 Continue this Saddleworth walk by climbing up Broad Lane, past the unused church on your left, to a crossroads. From the crossroads take the signposted direction on the right, through fields, heading downhill towards Wood Farm. Do not take the sharp right turn as this leads back to Hull Mil. 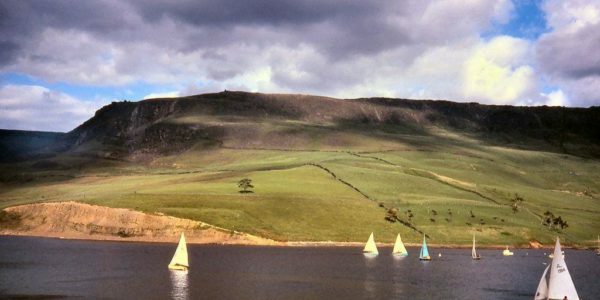 Wood Farm is above the north east side of Castleshaw Lower Reservoir. 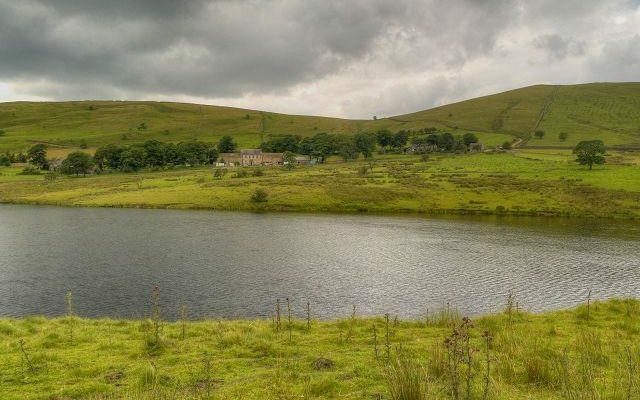 Going past the farm entrance leads to the access road at Castleshaw Upper Reservoir. 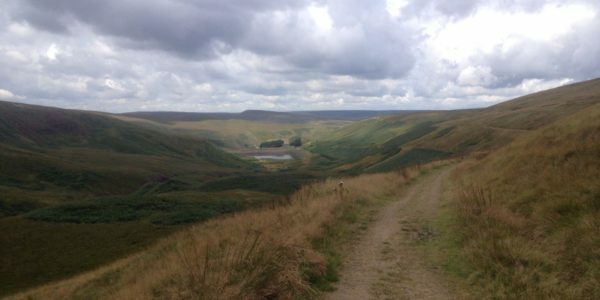 It’s then a case of following the track around Castleshaw Upper Reservoir to the wonderfully named ‘Dirty Lane’ then Cote Lane and back to the car park and starting point. Please always beware of sheep on your walk, taking particular care at lambing time. 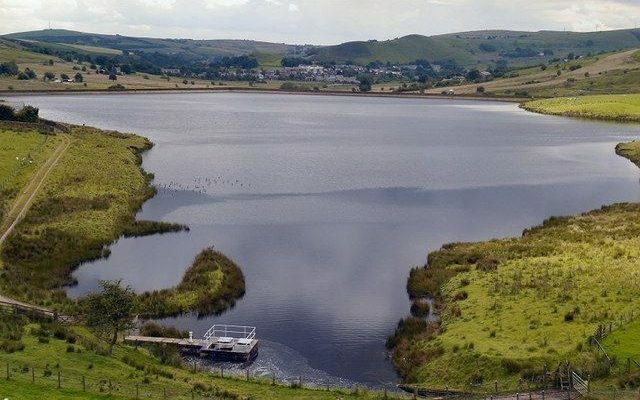 This Saddleworth walk is around 4.5 miles in length and takes a leisurely 1 hour 40 minutes. 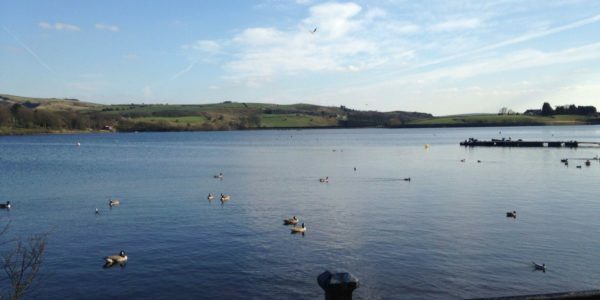 There are lots of alternative walks around the village of Delph, and all the Saddleworth villages. A visit to Delph Post office or the Museum in Uppermill is recommended as they have numerous maps and guides. 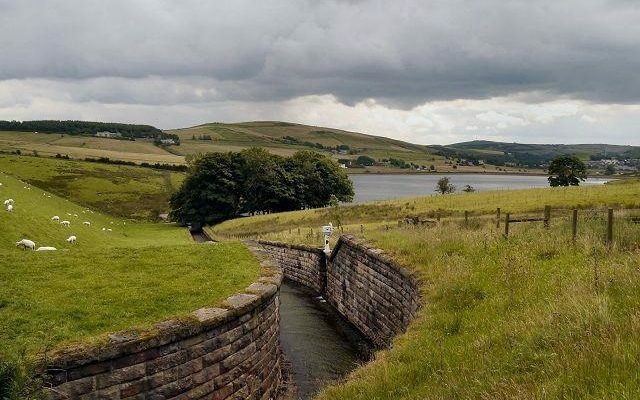 Nice Andy but I would avoid upper castleshaw reservoir if you have a large dog as the stiles are ridiculous to get over. My dog is large German Shepherd size but no way could he negotiate the final one onto Dirty lane, ridiculous set up. Makes me wonder how people with slight disabilities or the elderly would manage. United Utilities need to address this.